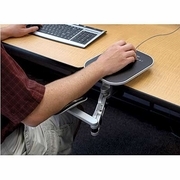 The ErgoArm Adjustable Computer ArmRest w/ Mouse Pad is an ergonomic design to reduce aches and pains such as Carpal Tunnel Syndrome in the wrist, arm, shoulder and neck areas caused by long-term use of computer and other repetitive movements. 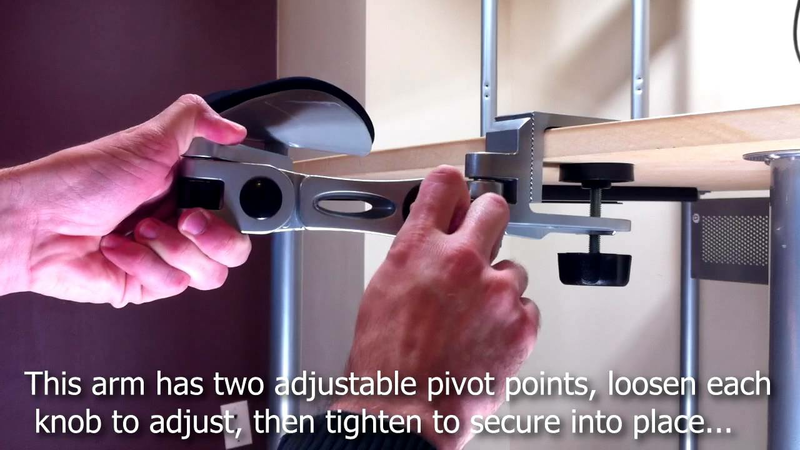 Each Armstand can support up to 24lbs of weight effectively relieving 90% of the weight undertaken by your wrists. With its unique design, you can now move freely, comfortably and effortlessly to perform your computer tasks. Can be used with or without the Mousepad attachment. Exclusive 3-D adjustment to best fit your need.